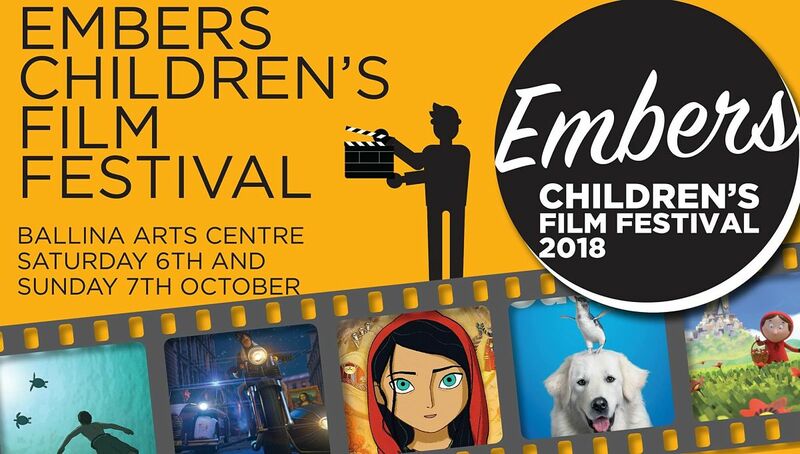 Embers Children’s Film Festival at Ballina Arts Centre returns for its second year with a programme of films from all over the world, and something for children of all ages. Curated by Sara English, the programme includes live-action and animation films, shorts and features. Titles include Revolting Rhymes, E.T: the Extra Terrestrial and Oscar nominated The Breadwinner (from Irish animation studio Cartoon Saloon). As part of the festival Paper Panther Productions run a stop motion animation workshop on Saturday the 6 th October at 11am. Tickets for all screenings are priced at €5 per person. 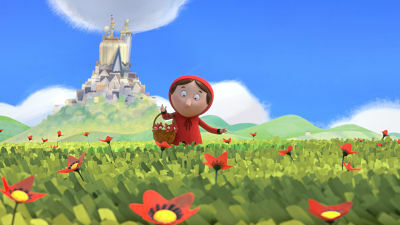 This year, in celebration of International Teacher’s Day, Ballina Arts Centre is inviting local primary schools to a very special screening as part of the Embers Children’s Film Festival. Seven year-old Nathaniel isn’t a confident reader. When his eccentric old Aunt Eleanor dies, she leaves her house to his parents and hyer huge book collection to the young boy. Nathaniel diwcovers that the books serve as a shelter for all the heroes found in children’s literature. Tickets: €5. Booking through primary schools only. For audiences aged 3+, Ballina Arts Centre is delighted to present a variety of short tales about going on adventures, making friends, trying out new things and learning new skills. We watch a hungry tiger find a tasty meal (and eat his carrots) and learn how a big, old bear finds his singing voice. A little boy has to save an adventurous fish during a water shortage, and someone desperate to go to sleep learns that there is music all around (whether he likes it or not!). All these short films are in English or are dialogue free (except for one with one word of German – and it’s very easy to understand!). These magical tales will delight children age 3+ and are a colourful introduction to the cinema experience as well as moving image literacy. For ages 8+. Design, storyboard and animate a short animation using stop-motion animation techniques! Construct your character out of easy to mould plasticine and get to grips with acting through animation. Previously produced and screened on BBC One as a Christmas special, directors Jakob Schuh (The Gruffalo) and Jan Lachauer (Room on the Broom) offer a retelling of Roald Dahl’s classic 1982 poem collection of the same name. While each of the Revolting Rhymes is based on a well-known fairytale, Dahl adds unexpected twists and turns and a satisfying dash of gruesomeness to shed new light on this collection of classic tales. The First International co- production for Studio Ghibli, the world renowned Japanese Animation Studio, responsible for modern classics such as, Spirited Away and Ponyo. Directed by Michael Dudok de Wit, The Red Turtle is an animated fantasy film in which a man shipwrecked on a deserted tropical island encounters a giant turtle with a red shell. It is a fable so simple, so pure; it feels as if it has existed for hundreds of years, like a brilliant shard of sea glass rendered smooth and elegant through generations of retelling. After a gentle alien becomes stranded on Earth, he is discovered and befriended by a young boy named Elliott. Bringing the extra-terrestrial into his suburban California house, Elliott introduces E.T. to his brother and little sister and the children decide to keep its existence a secret. Soon, however, E.T. falls ill, resulting in government intervention and a dire situation for both Elliott and the alien. Parvana is an 11-year-old girl who lives under Taliban rule in Afghanistan in 2001. After the wrongful arrest of her father, Parvana cuts off her hair and dresses like a boy to support her family. Working alongside a friend, she soon discovers a new world of freedom and danger. 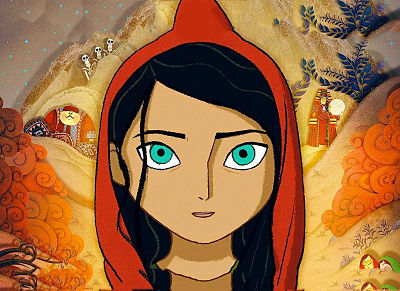 Drawing strength from the fantastical stories she invents, Parvana embarks on an epic quest to find her father and reunite her family. Tickets for all screenings are €5 per person.